America’s Cleaning Service provides high quality cleaning services in Orange County NY that never fails to impress. America's Cleaning Service is offering 15% off for office cleaning services with a three month contract, call today for a free estimate (845) 554-5351. Ever since it made its debut in to the cleaning world, America’s Cleaning Service has been thriving in all the services they have been providing to their clients around the Orange County NY area. Whether you are choosing office cleaning services, post construction services, or janitorial services, there is no way America’s Cleaning Service would disappoint. For the past decades, America’s Cleaning Service has successfully made its name in the cleaning industry for providing clients with high quality cleaning services at the most affordable rates. Apart from looking at their cleaning services, the staff is full of life, knows the basics of hygiene, and makes sure everything gets cleaned thoroughly. The well-trained staff is experienced in cleaning and knows how to handle all cleaning related situations and problems. America’s Cleaning Service is one of the most trustworthy cleaning services in Orange County NY. This cleaning service has great testimonials and feedback from present and past clients. America’s Cleaning Service is licensed, bonded, and ensured, making it a trustworthy choice. It is a local cleaning service that has been doing effective and great cleaning for many offices. For many companies, the biggest reason why employees are absent is because of “being sick.” Just by hiring a trust worthy cleaning service in Orange County NY like America’s Cleaning Service, all companies will be doing the biggest favor for their workers. From interior cleaning to exterior, America’s Cleaning Service can do it all. Their services include office cleaning, janitorial services, floor cleaning, carpet cleaning, post construction, move outs, window cleaning, pressure washing, & garbage removal. 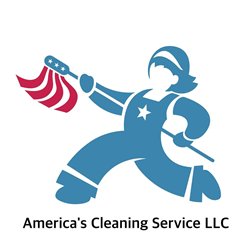 America’s Cleaning Service is a company that is based in Orange County, NY. It is located in 261 Liberty St, Newburgh, NY 12550. The contact number is (845) 554-5351 and it is open 24/7. We service all of Orange County NY including Washingtonville NY, Warwick NY, Tuxedo NY, Sugar Loaf NY, New Windsor NY, New Milford NY, New Hampton NY, Montgomery NY, Monroe NY, Monticello NY, Liberty NY, Fallsburg NY, Middletown NY, Newburgh NY, Highland Mills NY, Harriman NY, Greenwood Lake NY, Goshen NY, Florida NY, Cornwall NY, Chester NY, Central Valley NY, Campbell Hall NY, Blooming Grove NY, West Point NY, & Bellvale NY for all cleaning service needs in Orange County NY Call (845) 554-5351 today for 15% off janitorial services.